When Audrey Kepler inherits an abandoned homestead in rural Queensland, she jumps at the chance to escape her loveless existence in the city and make a fresh start. In a dusty back room of the old house, she discovers the crumbling photo of a handsome World War II medic – Samuel Riordan, the homestead’s former occupant – and soon finds herself becoming obsessed with him. But as Audrey digs deeper into Samuel’s story, she discovers he was accused of bashing to death a young woman on his return from the war in 1946. When she learns about other unexplained deaths in recent years – one of them a young woman with injuries echoing those of the first victim – she begins to suspect that the killer is still very much alive. And now Audrey, thanks to her need to uncover the past, has provided him with good reason to want to kill again. Blurb above copied from the Goodreads entry for Thornwood House. Just before Christmas I brought a stack of books to read over the holidays. Some were on kindle, some were paperbacks. I read Anna Romer’s Lyrebird Hill while on holiday, but didn’t have a chance to review it properly, although I did rate it 4★. 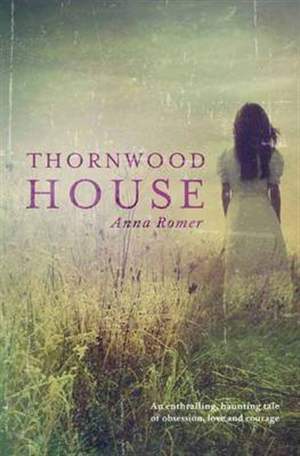 So when I returned from holidays and sorted through the paperbacks I bought, I knew I had to read Thornwood House next. Audrey is a great character. She’s insecure but also strong-willed, and wants to do the best she can for her daughter, Bronwyn. At the same time, she’s curious, wanting to know more about Tony, Bronwyn’s father – the man she thought she knew completely, but really didn’t. The supporting cast is introduced slowly and we get to know the characters as Audrey does. I liked that Audrey didn’t know who to trust at first, made snap judgements, but also tried to keep an open mind. I like that the romantic thread of the story in the present developed slowly and didn’t feel forced. Extra brownie points because the love interest has a disability, but doesn’t feel the need to be any different. Plotwise, this is a really well-written book. There was the first mystery about why Audrey’s former partner killed himself, and then the secrets kept coming. The heightened tension as Audrey came closer to uncovering the truth meant I could barely put the book down. Throughout the book, there were a few misdirections to keep you on your toes. The supernatural element added was intriguing, although I did wonder where it would go in the end. I’m pleased to say it was handled rather well.